The Salvation Army in Covington is part of a regional Salvation Army response that includes central, western, and southern Virginia. Additional mobile feeding units have already been brought into the region from surrounding states. They will be available, as needed, to help the Covington Corps provide hydration, nourishment, emotional and spiritual care to first responders and those affected by the storm. Established in 1865 as an evangelical part of the universal Christian church, The Salvation Army has been operating in the United States for 130 years, helping needy people in God’s name without discriminating. 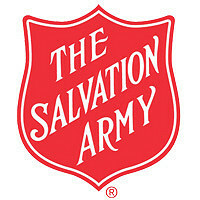 Each year, nearly 30 million Americans from 5,000 communities receive assistance through The Salvation Army’s broad array of social services that includes outreach to the elderly and ill, assistance for the disabled, opportunities for underprivileged children, food for the hungry, clothing and shelter for the homeless, and relief for victims of disaster. Eighty-two cents of every dollar go to carry out these services. For more information, please visit www.salvationarmyusa.org.